In short, the story goes like this. 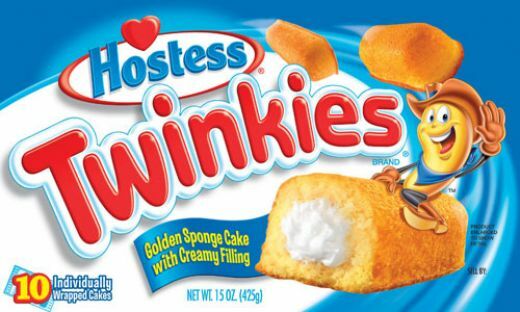 Hostess, the baking company that makes Wonder bread, Twinkies, Ho-Hos and the like, renegotiated a collective bargaining agreement with the Teamsters and the Bakery, Confectionery, Tobacco Workers and Grain Millers' International Union. The Teamsters agreed to the new contract that lowered wages and benefits (primarily pensions, we believe), but the BCTWGMI workers did not, choosing to strike. To massively truncate the story, Hostess set a deadline to return to work or they said they would close their doors PERMANENTLY. The company is in Chapter 11 and wrestling with $700 to $820 milion in debt depending on who you ask. Hostess says their financial problems are “primarily due to legacy pensions and medical benefit obligations and restrictive work rules." That said, the union claims top executives have recently received pay raises. The BCTWGMI said 1) your bluffing, 2) there is no reason to cut pay and benefits and 3) the only reason Hostess was in trouble was due to mismanagement –interesting coming from a BCTWGMI that we are guessing has no experience running a large baking corporation or any sort of big company, but we digress. So this morning, the BCTWGMI workers did not return to work and Hostess pulled the plug. As a result, we’re screwed out of Twinkies the world’s junkiest junk food by any stretch of anybody’s imagination, and, more importantly, 18,000 people are out of work. Oh, and those union guys that refused to budge? They still have jobs with the BCTWGMI. Here are a few interesting links from the Washington Post and Wall Street Journal.